Here is another look at our kindergarten day. Today I'll focus on what morning meeting looks like, how to differentiate and change it up, and ways to keep it exciting and engaging! My students have two simple rules for greeting their friends: Look at them when you speak and use their name. 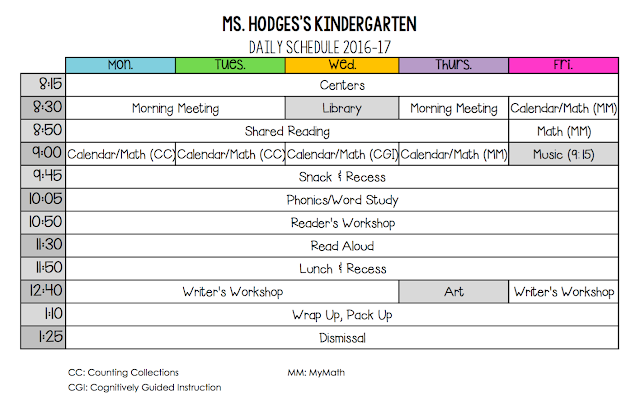 We work very hard on conversational skills in kindergarten, and this part of our day reinforces those skills. Our greeting is constantly varied! We say "Good morning!" but in many languages, we shake hands, we high five...well here is a list below! If you want more details about any of these greetings, leave your questions in a comment and I'll try to explain the best way I can! These greetings are a great way to make sure EVERY student in your class feels welcomed into your classroom each day. Now this part is pretty self-explanatory, but we LOVE singing and usually sing instead of play a game! We start off the school year with lots of finger-plays and preschool songs. 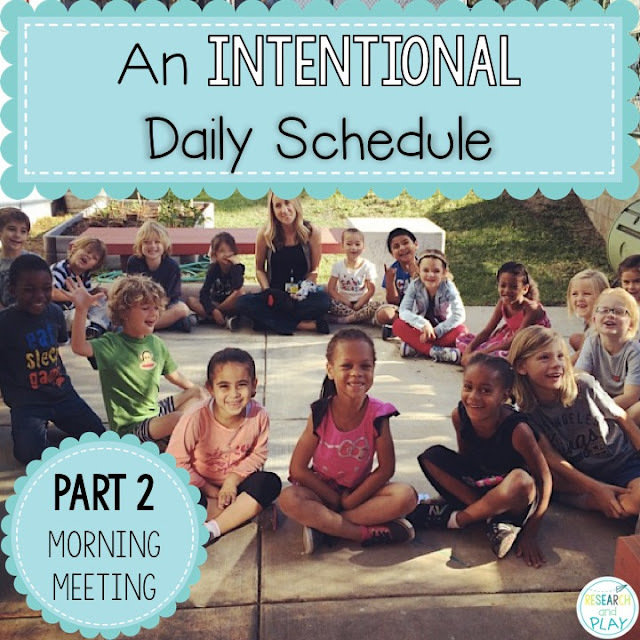 Dr. Jean has a great playlist of songs HERE that are perfect for morning meeting! Anything with movement or hand motions are great for this time of day. You can also take a look at my Pinterest board called 'Morning Meeting' to see some other great song ideas. This is such a crucial part of morning meeting in kindergarten! Giving each child a chance to have their voice heard is so important. This time also allows for students to hear common interests and learn more about each other. I begin share time by asking my students a question. It can be a question about ANYTHING. I begin the year by asking lots of "What's your favorite ___?" questions. This really allows for students to hear what they have in common! We also do thematic questions like, "On Halloween, I want to dress up like ___." or "I am thankful for ___." One of the great academic pros of doing share time is building in academic language instruction. I always verbally give my students a sentence stem that they have to use to respond. For example, if they are answering the question "What do you want for Christmas this year?" my students would have to say "For Christmas this year, I want ___." This gives each student a chance to respond without feeling worried about how. We also pass around a wireless microphone and our stuffed dog, Gus. He is our talking stick! Whoever is holding Gus gets to speak, but no one else! My students also make "quiet connections" if their friend shares something they agree with or also think. They just link their fingers together and hold them in the air! I probably could have called this part of our routine "GoNoodle Time." We typically end our morning meeting with a KooKoo Kangaroo video because who doesn't like to start their day by dancing and laughing?! You can also incorporate any team building activity into this time, too. In our school, we use the OLWEUS Bullying Prevention Program, so this would be a great time to stand and chant our 4 Anti-Bullying rules. You could chant your class rules, too! Thanks so much for reading! Sorry there aren't a lot of pictures for this post, but there isn't much to take a picture of during morning meeting! I will try to do a more permanent video to include on my Instagram so you can see morning meeting in action. 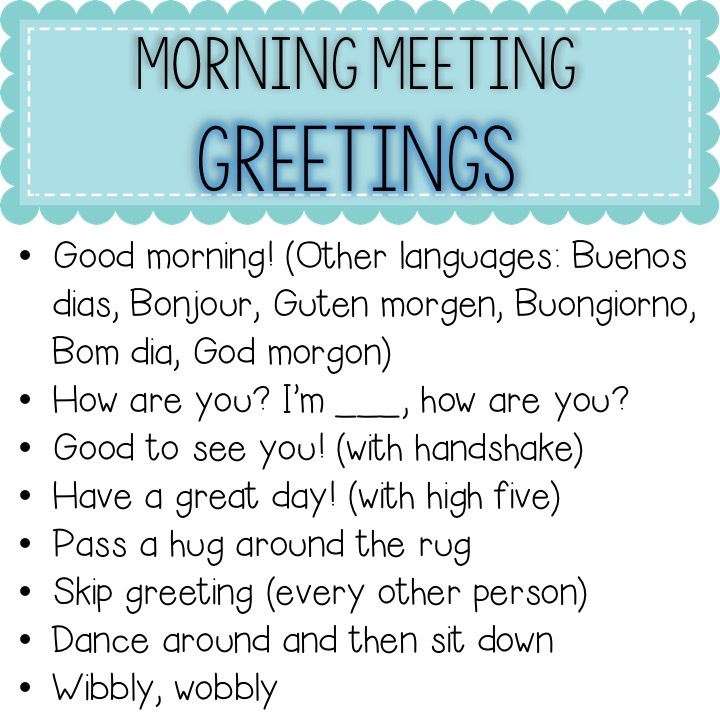 I hope you already incorporate morning meeting into your day somehow. Even if it may seem tempting to cut it out due to time constraints, I promise it is worth it! We are only half day in my state - 2 hours and 30 minutes of classroom time. What would you cut out, or cut down on, if you were only half day? 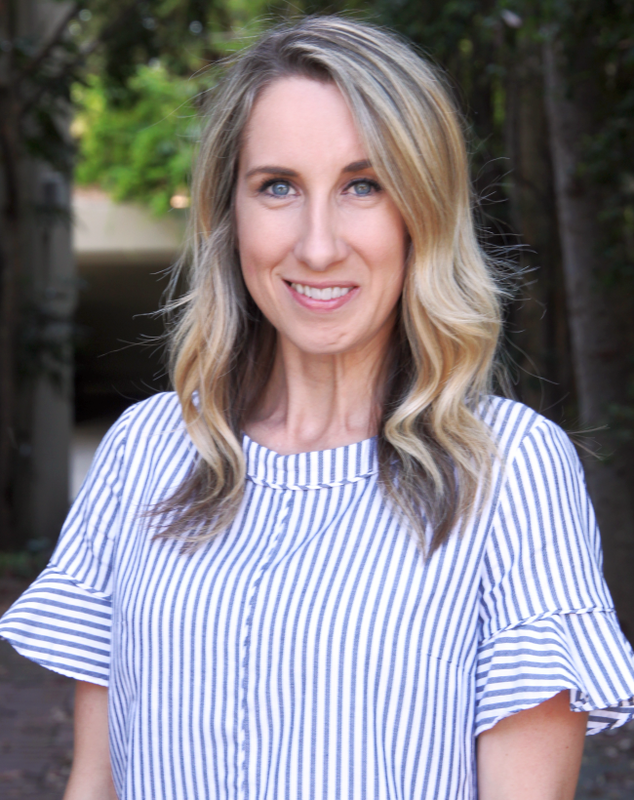 I just discovered your blog and I'm loving it! Hi! Thank you for reading along! I actually taught half day kindergarten four years ago and our day was 3 hours. I basically just had to make things shorter to fit it in. The main differences were that we did not do workshop model. My whole group reading lesson lasted only about 30 minutes total and I tried to include a writing component during that time. We still had some sort of phonics/word study time, but it was much shorter that I can do now. You definitely have to get creative when you teach half day, that's for sure! Thanks for recommending that I check this one out! This was exactly what I wanted/needed to read. I love the idea of morning meetings and want to make this a part of our day this coming year as I really believe those connections are important. How long do your morning meetings typically run for? I see 20 minutes on your schedule. How many students do you have in your class? Also, do you allow them to share whatever they want or do you ask them to just share one thing. I find that some students will talk forever but I don't want to crush them by limiting it either.